Join us at center ice for a fun, recreational hockey program for boys and girls! Program Description: Canandaigua Civic Center's inaugural After School House Hockey program is a 16 week, non-league program. Participants will have one Tuesday practice per week from 3:00 PM-3:50 PM at Canandaigua Civic Center. Scrimmages/game time will begin the 4th week of the program and will take place on Saturday mornings from 7:00 AM- 7:50 AM. There will be 13 scrimmages or Pond Hockey style game sessions. Our goal is for participants to have fun playing hockey while learning about the game and developing the skills to participate in the sport. Our program is open to beginning hockey players as well as those who have played in the past or are currently in a league program. 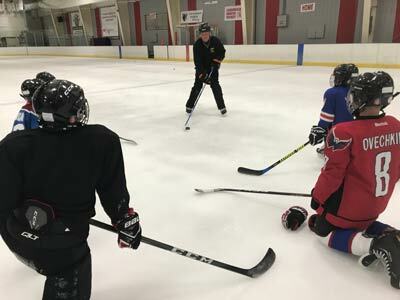 Former McQuaid Jesuit High School hockey coach Al Vyverberg is pleased to be coaching our After School House Hockey program. Drop-in Fee: $10 per session day. Must have a waiver on file.